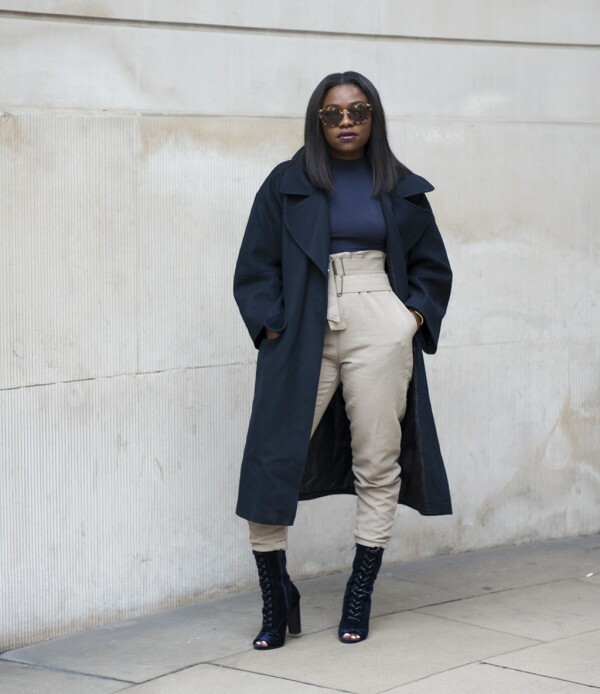 7 Street Style-Approved Ways to Layer – Giselle Ave. Whenever I am feeling like my wardrobe isn’t up to par, I can always count on layered pieces to take my look from frumpy to fab. Whether it’s throwing an edgy leather jacket over summer faves or rotating in chic accessories like a wool scarf or veiled beanie, layering just completely transforms your entire look. It’s one of the reasons why I absolutely love traveling to New York; with the daily changes in weather, the layering possibilities are endless! 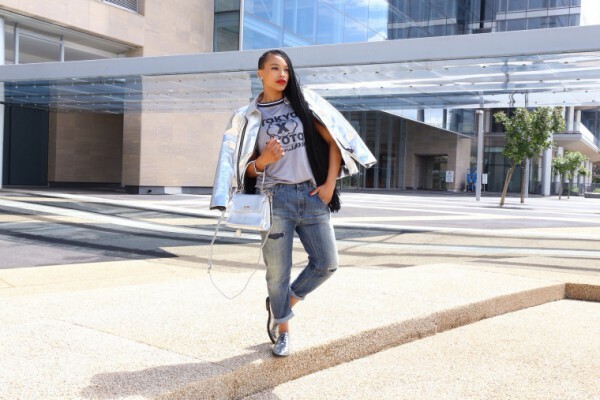 Layer a metallic jacket over your basic statement tee and slouchy boyfriend jeans. Give your monochromatic black and white look new life with a cropped turtleneck sweater paired with a button-down top and culotte shorts. 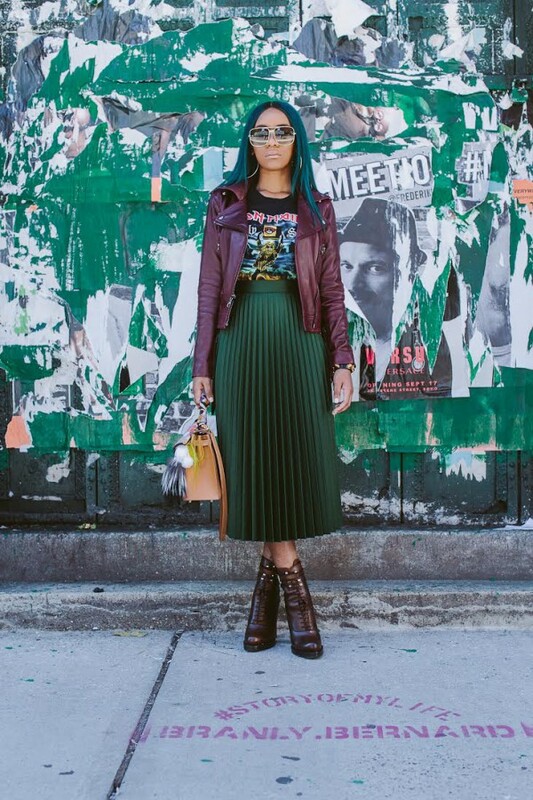 Style a leather moto jacket over a vibrant graphic tee and pleated skirt with lace-up ankle boots. Team a dark green sweater and pastel colored blouse together with distressed denim jeans. The sunglasses add such edge! Go for an uptown look with with an oversized navy blue coat and matching block-heeled boots. Contrast light-colored culottes with a quirky plaid turtleneck and matching jacket. The stylish braids are a classic touch. Liven up your black crop top with bright accents, like a yellow pencil skirt and a pop of lip. And let’s get into that statement necklace, shall we?! Do you love these looks? What are your go-to layering pieces? Share your thoughts in the comments below!